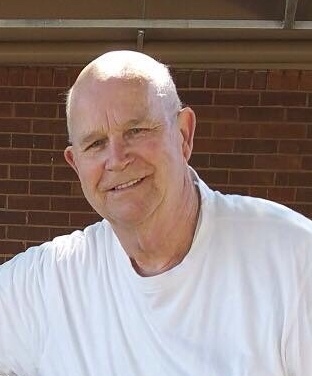 Buford Clarence Blackwell, 78, of Little Rock passed away at home surrounded by love on April 12, 2019. Buford was born October 14, 1940 in Little Rock to Mable “Laverne” and Joseph Blackwell. He lived his life in Little Rock with many childhood friends and even more stories. Mischief found Buford easily, and if the laughter from his stories is a measure of those memories, they were all well-lived. Buford was in the famous Little Rock Central High class of 1959 where he played football. He married the love of his life, Annette (Funk) in 1960. Buford attended Arkansas State Teachers College on a football scholarship and graduated in 1964. He spent many nights at camp with the “Slaughters” bunch, hunting, fishing, and living out more mischief that can only be shared among the veterans of that collection of characters. Buford and Annette had four children to whom they dedicated their love and lives. Buford worked tirelessly running Red Crown Cleaners, the family business, for over 20 years. His “act II” was his following career as an antiques importer and retailer, where he shared his passion and curiosity with hundreds of beloved customers at Blackwell Antiques. But Buford’s favorite role was as a father (“Daddy”), grandfather (“Ferd” and “Buf”), and great-grandfather. His memory as 6 feet 3 1/2 inches of all heart and humor will live on in our memories for generations. Buford is survived by his loving wife of 58 years, Annette, of Little Rock, daughters Laurie Freeman (Eric) of Sapulpa, OK, Leslie Nelson (Guy) of Little Rock, and Kristie Hadden (Joe) of Little Rock, grandchildren Darby (Daniel) Pritz of Brooksville, FL, Dustin (Chelsea) Freeman of Sapulpa, OK, Jessica Mosher (Bailey)of Sapulpa, OK, Sydney Nelson of Little Rock, Ethan Nelson of Little Rock, Kate Hadden of San Diego, and Owen Hadden of Little Rock, and five great-grandchildren. He is also survived by his brother Randall (Lynna) of Siloam Springs. He is preceded in death by his beloved son, Michael and grandson Joel. Special thanks to Baptist Hospice and especially Nathan and Shirley for great care and friendship. We will celebrate Buford’s life at a memorial service on Wednesday April 17 at 1:00 pm at Christ Church, 315 South Hughes Street in Little Rock. In lieu of flowers the family requests donations to Christ Church.